Does anybody know the part number for the polycarbonate / Lexan body for the Lowride Pumpkin? You would need to get a hold of the manual and find the 7 digit part number for the body. Then email someone over sees like Stella to see if they can special order it. Kit was never brought over to the US.. so body will be hard to come by. 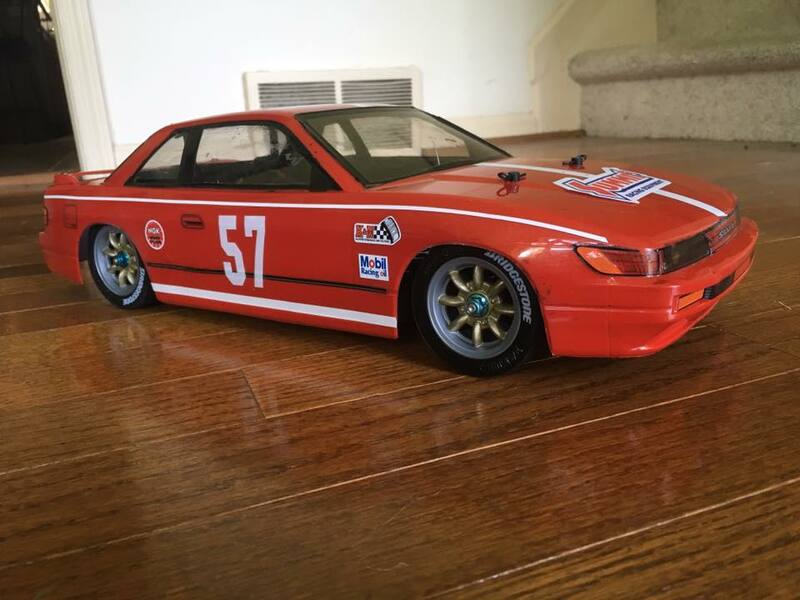 I tried to special order the body way back when the white low ride came out in Asia but was told they were not available as they were a limited release "kit only" item. Good luck. That is a bummer. Those things will be unicorns in the future. OSherman, kwkride and ruebiracer like this. 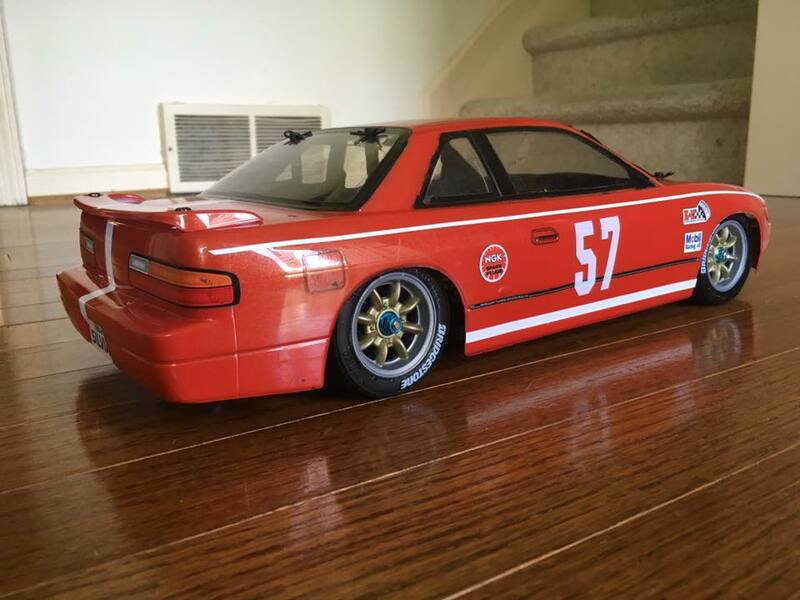 Converted my M06 to LWB for a "Baddest Bug" body, but in the meantime put a Nissan Silvia body on it. The car is already pretty good in SWB trim (only have one loss so far in its career against M03, M05, and M06's...and that was my fault with a traction roll with less than a minute to go in the A-main while leading by a mile) but the LWB version feels even better. F/R weight distribution is down to 31/69. Car just feels more balanced and stable under power now. Planning on racing this Sunday at the local carpet track against all comers. rccartips, ruebiracer and firefoxussr like this. Hope the link works, Lexan body available in Germany, though. And congrats to Joel, Porsha and Scirocco! Great success with the M06!!! It will be even harder competing with the M07 now, as it´s really a different quality of Mini, and probably biggest evolution since change from M01/02 to M03. It´s time for a M08 with the quality of the M07. 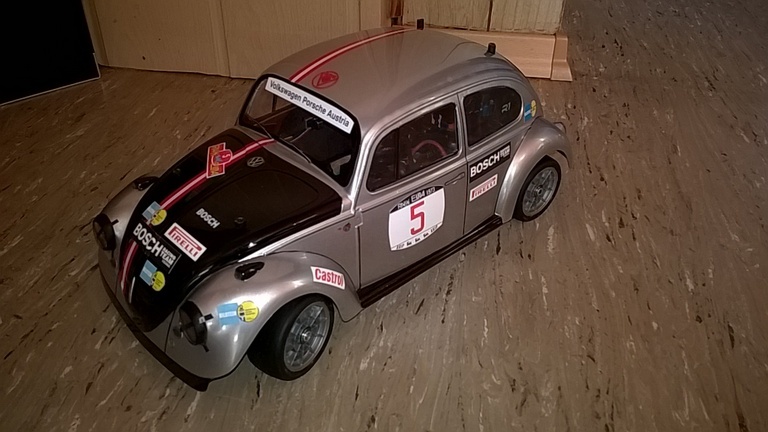 And before Tamiya reveals a Rallye VW Beetle, I´ve to post earlier, that I was quicker, although mine is my shelfer body for my M06. 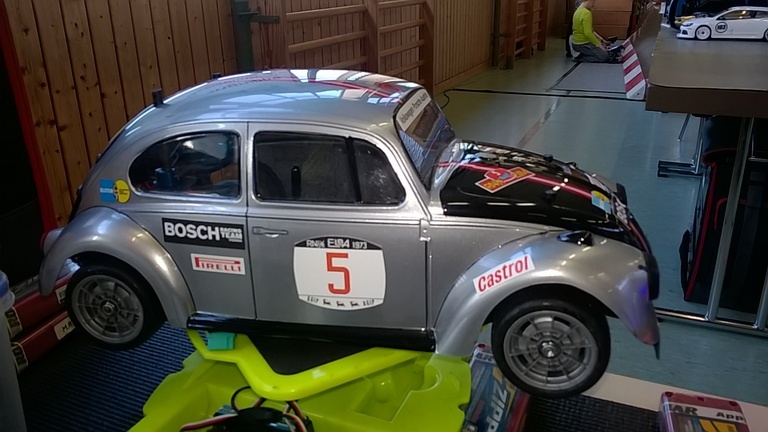 It´s a fake of the famous Porsche Salzburg beetle, which won the Rallye Elba in 1973. It is a project for more than 2 years, but finally I found someone to reproduce the original livery as a decal sheet for me. Up to now, printed on paper, still waiting for the vinyl version. Hope you like it, although it´s not finished yet. Better pics to come. Last edited by ruebiracer; 08-01-2017 at 12:59 PM. I do. my car pulls to the left noticeably under power. this may be an exaggerated thing cuz i'm running oversized/wide/non-standard wheels. Found the problem a few months ago, the toe-in is too much. Corrected with M03 knuckles (saw it on TamiyaClub on a low-ride pumpkin, gent referred me to all i needed). Hey firefoxussr; good job on the 911 Body. M06 already raced and beat an M07. While design of M07 looks nice, on-track nothing special. But your M07 should be very fast. How are the 3Racing shocks for the Tamiya M series? I am going to buy an M-06 after loving my M-07 and I don't want to run the friction shocks. Some are OK some are awful leaky things I had 2 sets and out of the 8 shocks none were very consistent, 3 were fine, 5 not. And do not judge an 06 by the standards of an 07 or you'll be disappointed, they're very different cars. An 06 demands a lot of work to get it into the groove and you'll find that groove is very narrow. And a badly setup 06 is a hateful thing. A well set up one can deliver a killer drive though. JatoTheRipper and scirocco14 like this. All times are GMT -7. It is currently 03:52 AM.